Achieve great shots at a low value with the Sony PXW-FS7K. The new Sony PXW-FS5K features of this handy camcorder include a 4K Super 35mm Exmor CMOS sensor that has an ergonomic design making it highly and easily adaptable to its functionality. It consumes lower power as compared to the average camcorders and has an easy settings menu, perfect for professionals and non-professional. Not to mention it has the ability to record super slow motions continuously and its dust proof so that you can use it outdoor and don't have to worry about cleaning your lens. Take great fast action shots with this camcorder. • Stability and operability particularly in Iris Setting, Iris Dial and Assignable dial. • Support for Interval Recording, 2K Full and 2K Centre in Image Scan Mode Setting. 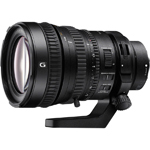 • Improved Focus Magnification and FS-RAW image quality operation and stability. • You can also expand to 0% the lowest value of Zebra. With the Sony PXW-FS7K, you no longer need to call or hire help just to record a perfect shot. This camcorder is known for its ease of setting and using and is classified as a one-man operation camera. On the side of the camera, you will find the Zebra function, Peaking buttons, and contrast knob as well, making it easy to adjust the focus, exposure, and contrast while taking pictures. You can also set the position of the finder by a simple action of turning a single knob. The grip provided by the Sony PXW-FS7K allows for easy operability and handling. You don't have to worry about dropping your camcorder or having it slipping off no longer. This design was reached after numerous consultations with cinematographers and videographers and had a few prototypes produced before the release of the final design in the market, so you know it's the real deal. The shape is great for using the camera for long periods, and users can grip the camera in different styles. There are programmable buttons on the grip for ease and fast use, and these include the Zoom button, Rec Start/Stop, and expanded focus function buttons. It is easy to adjust the length of the arm by a simple adjustment of the knob which allows for adjustments of the camera angle hence making it easy to choose a comfortable style for using the camera. 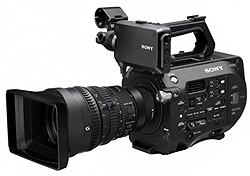 The Sony PXW-FS7K supports some unique formats including XAVC Long and Intra-GOP, which allow for HD recording in different codecs such as the H.264AVC and MPEG2 HD. The camera comes equipped with an XDCA-F57 extension unit meant to offer support during shooting ,allows for different shooting styles and an easy workflow. 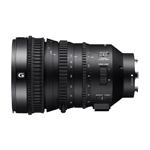 To support 4K motion picture shooting and Super Slow Motion, the Sony PXW-FS7 is equipped with a Super 35mm CMOS image sensor that allows for the shooting of a 4352x2662 image quality. Connect your camera to a wireless microphone using a Multi- Interface (MI) Shoe. Another support feature available with this model is an E-mount lens mount, and this is perfect for those intending to use the camera to shoot a movie or motion-pictures. Be a director, in the comfort of your home or anywhere you like at a bargain price. Who knows, you may be the next famous director.